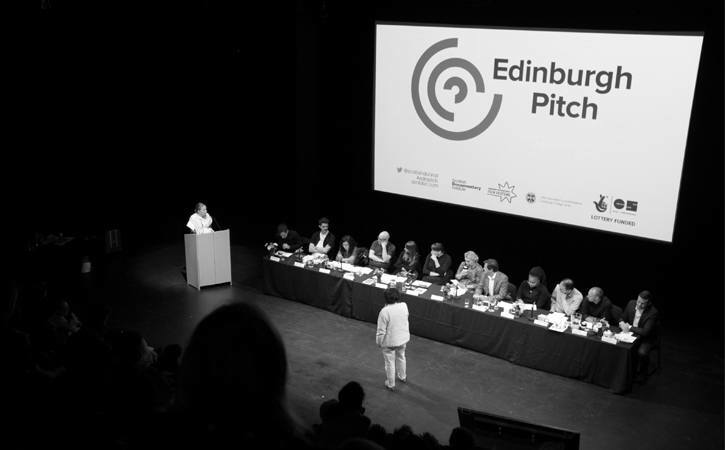 The call for projects for The Edinburgh Pitch 2019 is NOW OPEN! Entering its 13th year and running alongside the Edinburgh International Film Festival, The Edinburgh Pitch is the only international documentary pitching forum in Scotland. It is aimed at independent filmmakers and companies developing and raising finance for creative feature documentaries and considering international co-productions. Participants will have the chance to take part in a preparatory pitch training workshop, before formally pitching their projects to an international panel. They will also get the opportunity to meet commissioning editors and experts for one-to-one meetings. Read more about the pitch and APPLY here. The call will close on Monday 1 April. The Edinburgh Pitch is supported by Creative Scotland and the University of Edinburgh.